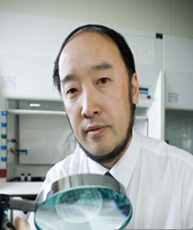 Professor Xiao Dong Chen is attached to the Department of Chemical Engineering at Monash, and is the Chair of Biotechnology and Food Engineering. He is also the Associate Dean International of the Australia-China Consortium on Engineering Education and Research (ACCEER). His current areas of study are wide and varied, and include: drying technologies for food and biological materials, ink-jet spray drying technology and freeze concentration technology; powder agglomeration technology, falling film evaporation technology and crystallisation processes. Professor Dong Chen is engaged in the development of a gastrointestinal tract model. He is investigating new bioreactor design and operations, and is studying protein gel dissolution theories. The work conducted by Professor Dong Chen’s group has already had a significant impact in the fields of food and biotechnology, by contributing to the manufacture of high quality products, and in applications in waste treatment and desalination. This includes the commercialisation of several patents. Professor Dong Chen has established collaborations with several venture capitalists, production companies and funding agencies to assist him and his group in their research. These include the New Zealand-based dairy company Fonterra, Freezcon (Auckland) Ltd and other Victorian food industries. He also maintains strong links with the University of Auckland and China Agricultural University in Beijing. In his wider interests Professor Dong Chen is exploring spontaneous combustion, fire hazards, fluid mechanics and baking and solar refrigeration.